Are you throwing a party soon? 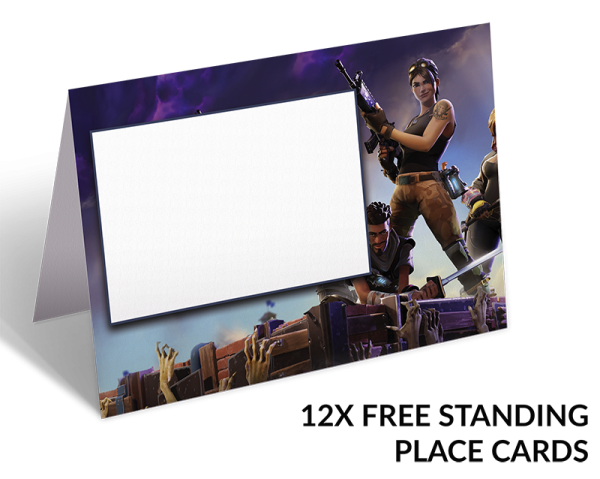 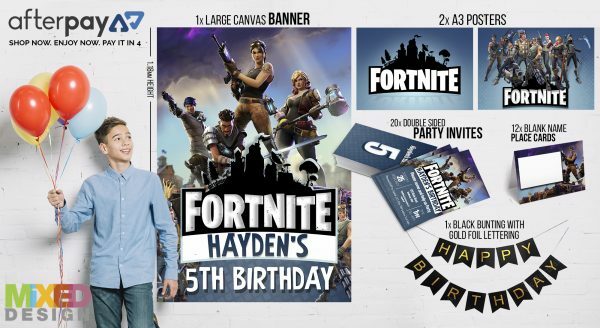 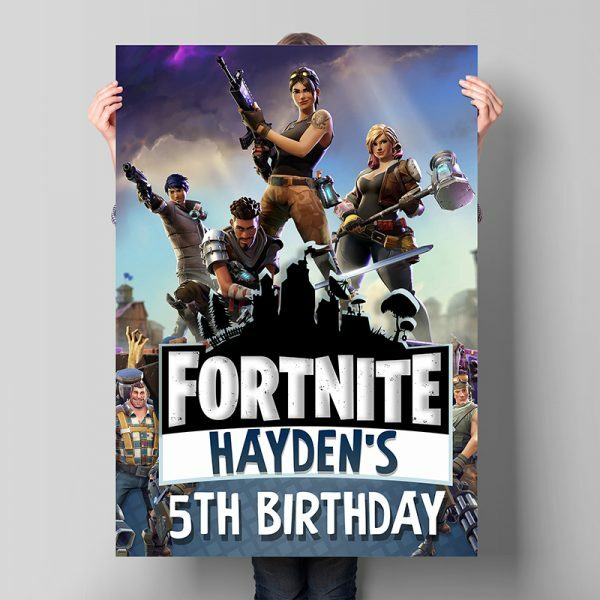 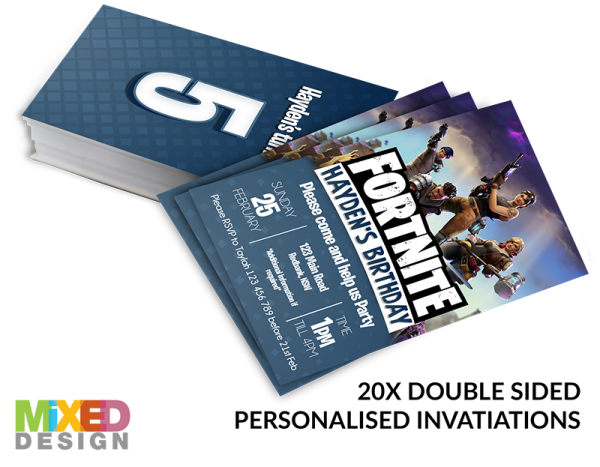 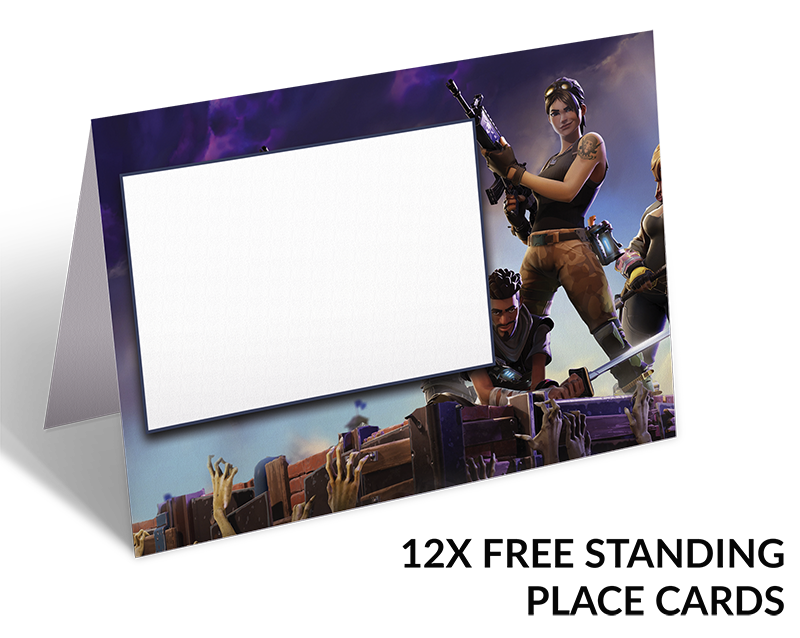 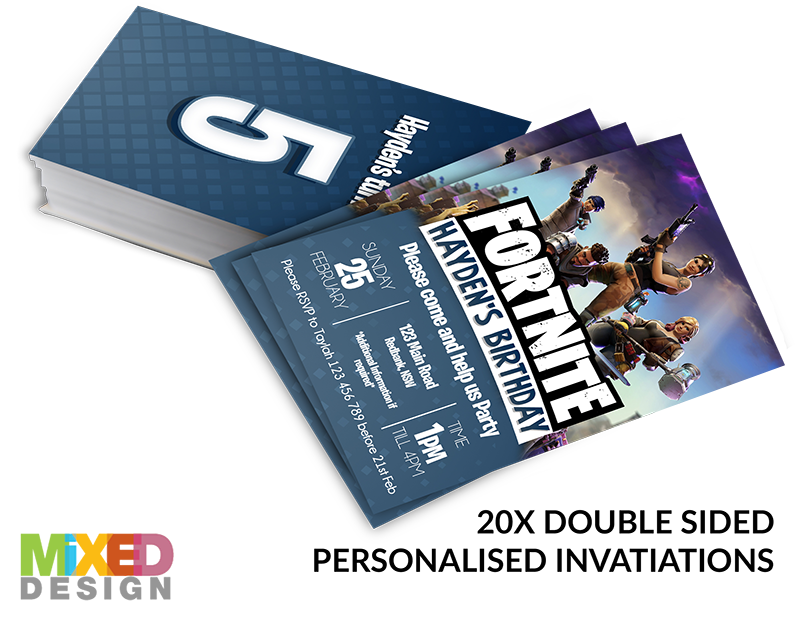 Then this Fortnite Party Pack is a must for any fortnite gamer! 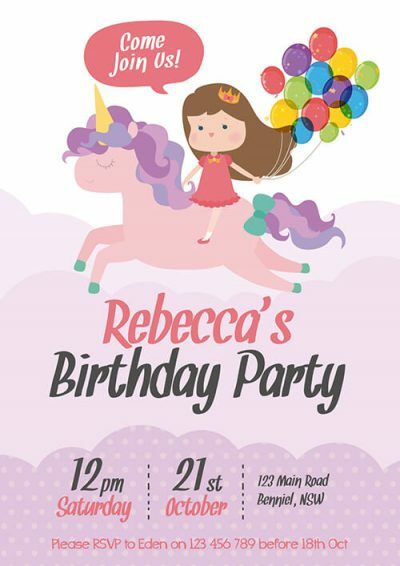 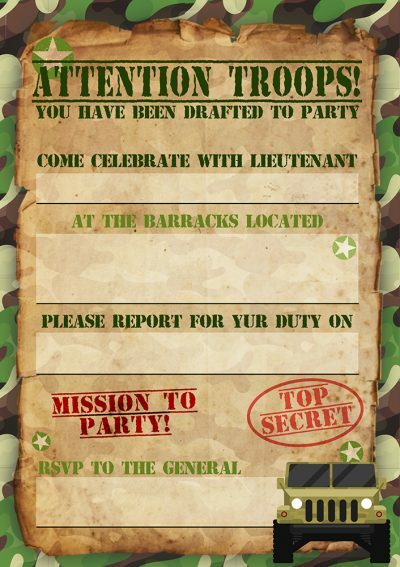 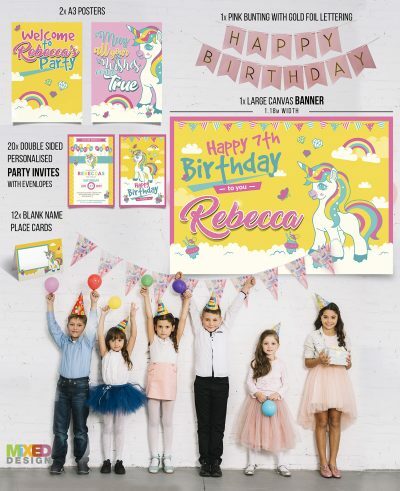 Comes with a personalised Canvas banner, Personalised invitations, Place cards and A3 prints these packs set the tone for an amazing party.